Gospel rap artist TRIGGER hails from the middle-belt area of Nigeria, Nassarawa to be precise. With a passion to spread the gospel of our Lord Jesus Christ through rap music, Dogara aka TRIGGER has had many successes in the past few years. Preaching through music in his local environment and putting out songs that indicates the value of the gospel, he is surely a name to reckon with in these parts of the world. 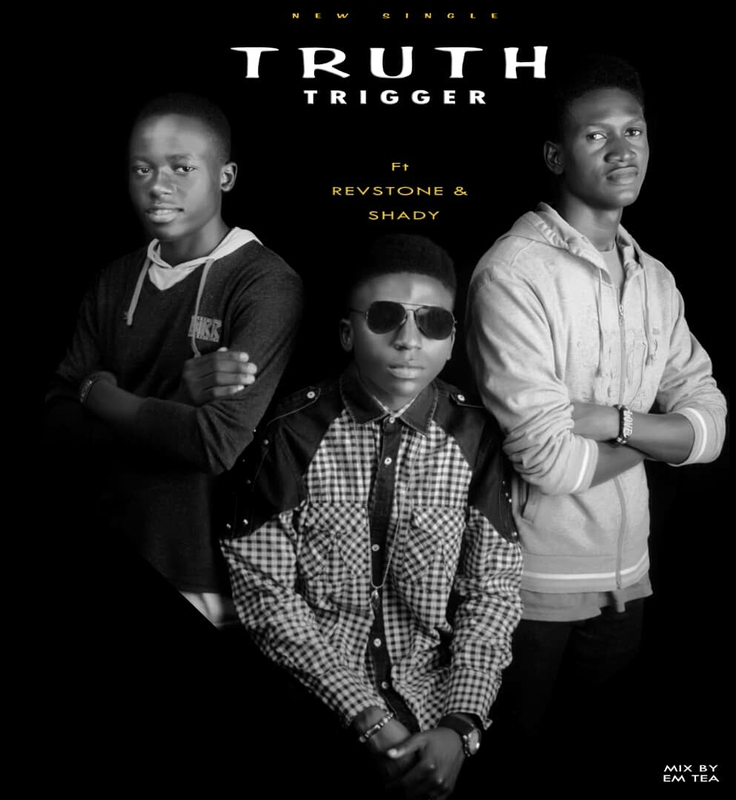 Revstone and Sheddy were recently featured by Trigger on a track mixed and mastered by Emtea, called TRUTH. Please download and listen, because i have been blessed already.